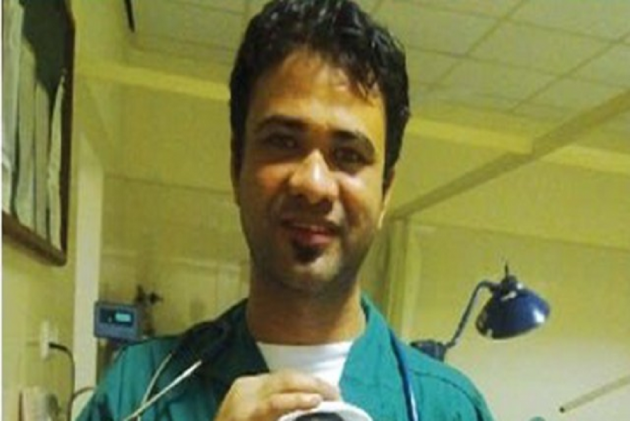 Dr Kafeel Khan, who has been in the jail for the past seven months in the Gorakhpur hospital tragedy case, is a victim of conspiracy, said Indian Medical Association. Police have charged Khan, a former doctor at Gorakhpur’s Baba Raghubar Das Medical College Hospital, with attempt to murder over the death of 30 children in August but dropped the corruption charges for lack of evidence. He was the in-charge of the paediatric wing at the hospital when the children died, allegedly due to shortage of oxygen after a private company cut supply over a payment dispute, bringing severe ignominy to the Yogi Adityanath government. The government, however, blamed the deaths on Japanese encephalitis and acute encephalitis syndrome. Khan was hailed as a hero for rushing to arrange over 250 oxygen cylinders in a short span of time where the government machinery had failed. IMA has alleged that case against Dr Khan is a conspiracy by certain officials in Gorakhpur and Lucknow, reported Navbharat Times. IMA Secretary, Dr R P Shukla said the situation of lack of oxygen arose due to administrative slack, unaccountability and corruption. For this officials from Gorakhpur to Lucknow are to be blamed and not doctors. Whereas, state had all the amenities to prevent the situation from happening, but it couldn’t, on the contrary they arrested the doctor who with limited amenities tried to prevent the situation. The IMA doctors said that on the one hand the state does not consider lack of oxygen as the cause of death of 30 children at BRD and on the other hand it has slapped serious cases on doctors of the hospital. Dr Shukla said that doctors were not even allowed on bail and neither was any thorough investigation done in the case after the incident. He demanded a high-level probe in the matter. Of the nine accused in the case, Supreme Court on Monday granted bail to the oxygen supplier who was booked for criminal conspiracy and criminal breach of trust under sections of the Indian Penal Code. IPL 2019, Live Cricket Score, Royal Challengers Bangalore Vs Kings XI Punjab: Will Dale Steyn Be Able To Stop Gayle Storm?